So you’ve moseyed through the Museum of Fine Arts’ labyrinth of paintings and statues several times. But did you ever wonder what else Boston’s art scene has to offer? Over here at BDCWire, we took a look at some of the best art galleries spanning from trendy Newbury St. to the flourishing SoWa district. Whether you love photography, modern art, classical or vintage posters, Boston has you covered. Here are eight galleries that are must-sees as we move into warmer weather. 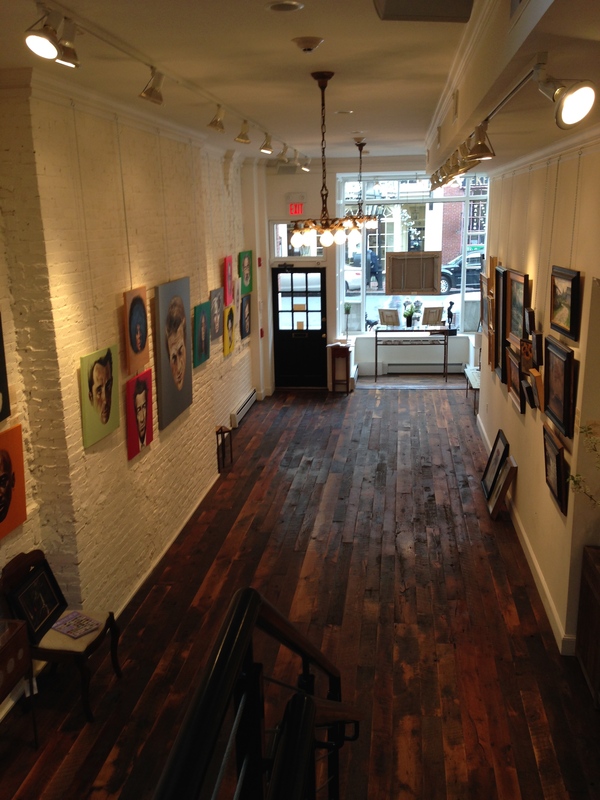 Contemporary art lovers can geek out at this Newbury Gallery. 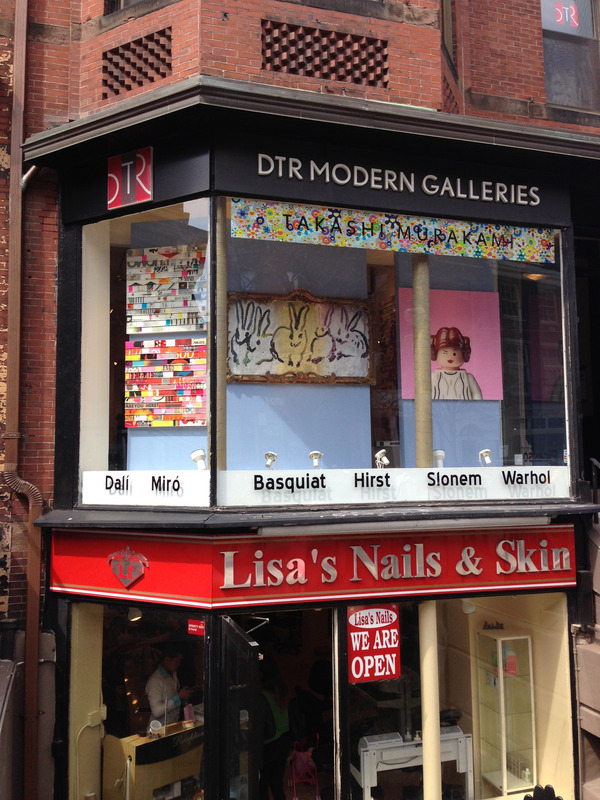 DTR Modern Galleries features works ranging from Basquiat, Murakami, Lichtenstein, Koons and Herst. Stop in for DTR showcase of Hunt Slonem, a Neo-Expressionist painter who has scores of paintings of rabbits and tropical birds. Dale May’s “Lego Wars” is also on display. The New York City photographer’s work features “Lego Star Wars” characters set against the backdrop of haute clothing lines like Coco Chanel. C-3PO decked out in Louis Vuitton? Yes please. 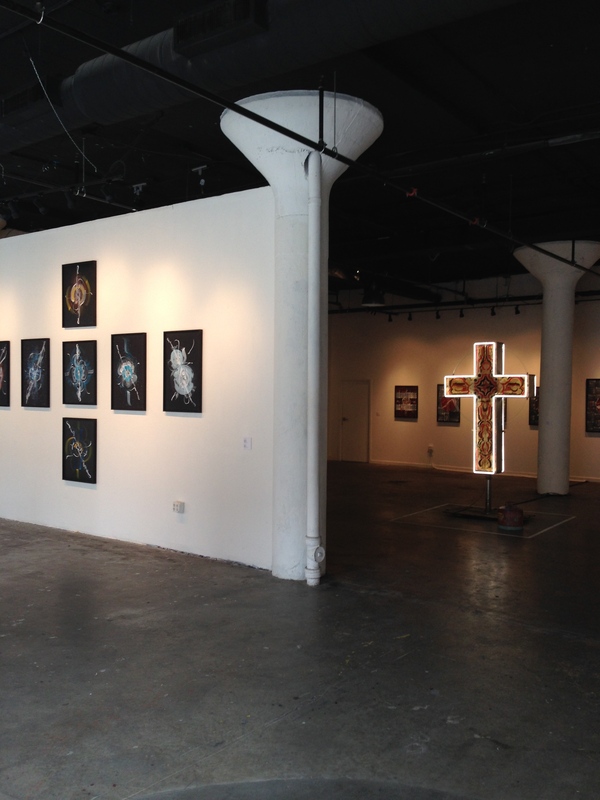 Upon walking into Fourth Wall Project, the first thing you’ll notice is the large neon crucifix in the middle of the space. It is a piece by Kenji Nakayama for his “Etudes” series. The series also includes abstract paintings that represent Nakayama’s techniques throughout his career. The exhibit is bittersweet, though. 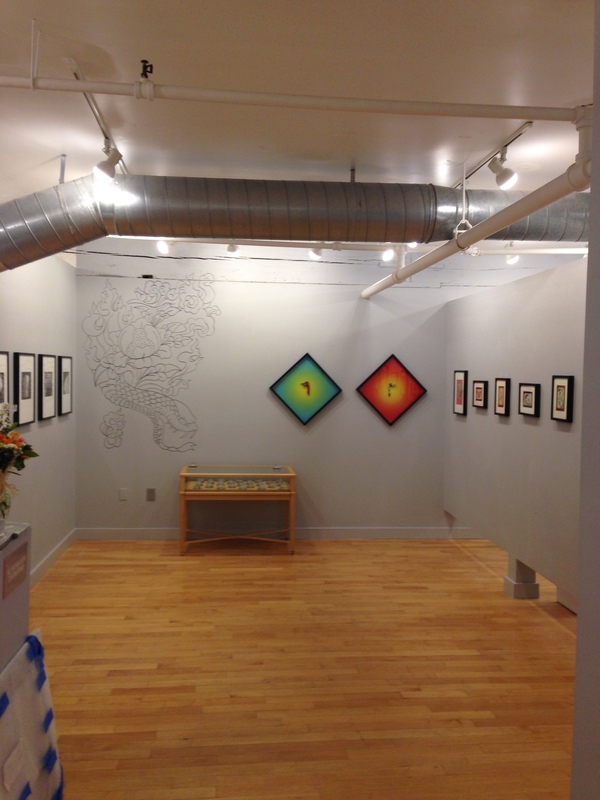 The art is amazing and some of the best in Boston, but the gallery, which has been a popup since its founding in 2009 by the founders of Bodega, is set to close mid May. So get there before it’s too late. And mark your calendars for a possible May 18 going away party at the gallery, definitely an event not to be missed. Newbury Fine Arts is just a stones throw from Boston Common and ideal if you need to get a quick art fix after lounging in the park. Newbury Fine Arts, which is next to Gallery d’Orsay-Boston’s premier gallery for Master Works-hosts four to five contemporary artists per year. Beginning May 9, the gallery will host Pauline Roche’s collection “Painterly Perception” where she explores the theme of the observer. For example, one of her paintings shows people looking at two John Singer Sargent paintings in the Museum of Fine Arts. The paintings are sensual and colorful, definitely worth checking out. If there is one place that shows Boston’s art scene is thriving, it has to be Harrison Avenue located in the SoWa district of the South End. It boasts around fourteen unique art galleries and a plethora of studios run by local artists. One of the definitive galleries in the district is the Kayafas. On the first Friday of each month, the gallery launches a new exhibit highlighting well-known photographers as well as up and comers. Stop by for Jordan Kessler’s “Lead & Silver” exhibit, which features beautiful yet somewhat eerie photos of guns, pierced targets and debris from a shooting range. But get there soon! The exhibit ends May 24. Looking for a visual overdose of vintage posters? 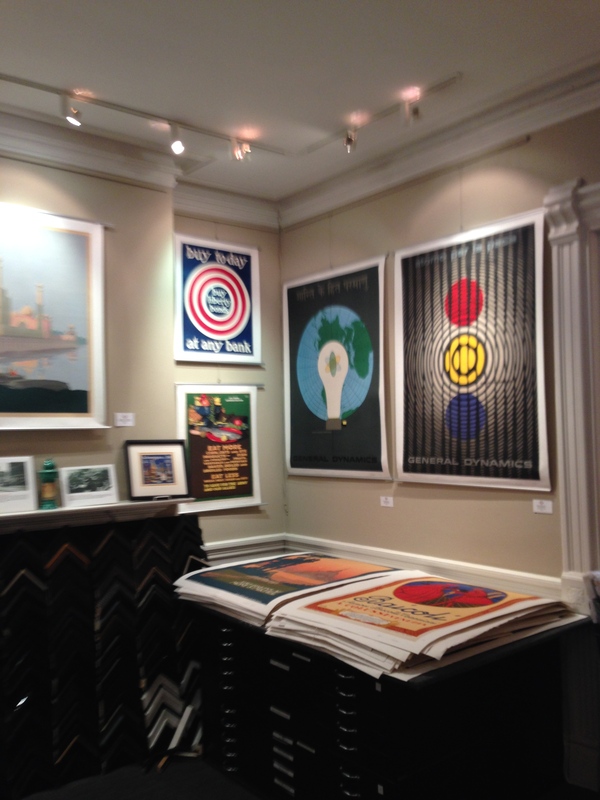 Look no further than the International Poster Gallery on Newbury St. It boasts one of the largest collections of vintage posters in the world. And there is no better time to stop by the gallery than now, since it is celebrating its 20th anniversary with an extravagant display of its best posters until July. The gallery features everything from Art Nouveu, food and drink, travel and modern posters. If you find one you particularly love and yearn to put in your living room, then good news– every poster is for sale and the prices range from reasonably affordable to wallet busting expensive. Don’t forget to check out their website to see the gallery’s whole collection of posters. Walk too fast or not pay enough attention and you’ll miss the Sloane Merrill Gallery. Nestled in Beacon Hill on Charles St., the Sloane Merrill promotes up and coming artists. Their most recent exhibit, Aurelie Galois’ “United Icons of America,” features portraits of cultural figures such as Woody Allen, Andy Warhol and Michael Jordan. The interior has a nostalgic New England feel with stone white walls and a polished wooden floor, giving the gallery a mellow, laid back feel. This year is special for The Guild of Boston Artists. The non-profit Newbury St. Gallery is celebrating its 100th anniversary. In 1914, an ambitious group of ex-MFA staffers founded the guild to showcase some of New England’s most promising new artists. For 100 years, the guild has been a key fixture for the sharing of ideas and spotlighting of local talent. 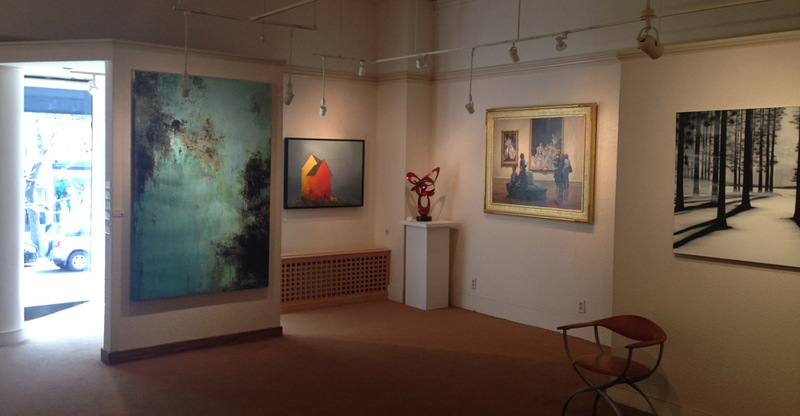 The gallery boasts an impressive lineup of paintings and sculptures. Walking into the gallery and seeing the influences of the Hudson River and the French Barbizon schools up close is something every gallery explorer should see. 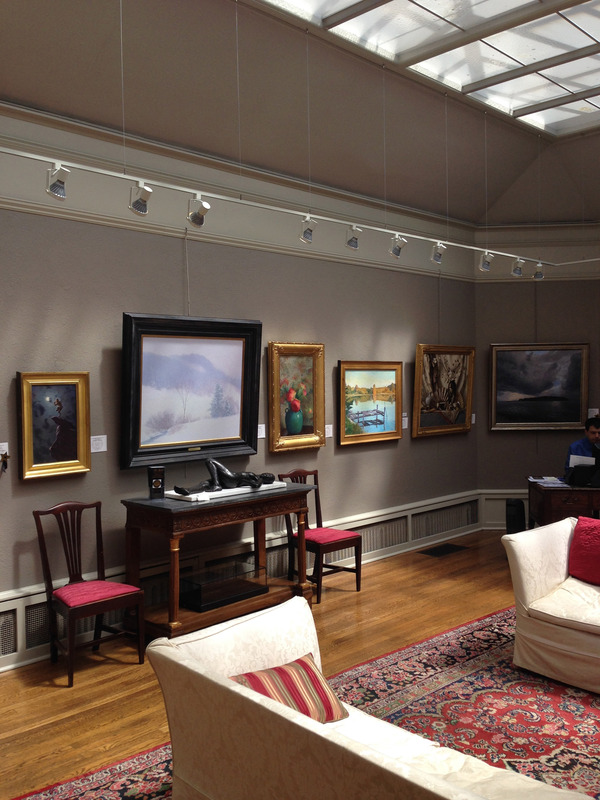 Above the Guild is the Haley & Steele Gallery, which features works from Elizabeth L. Strazzulla and Cindy House. The small and intimate space is ideal for a change of pace from bustling Newbury. A wise man once said, “come for the coffee, but stay for the art.” Well, maybe not, but that’s what happens to people who go to Voltage Coffee & Art. 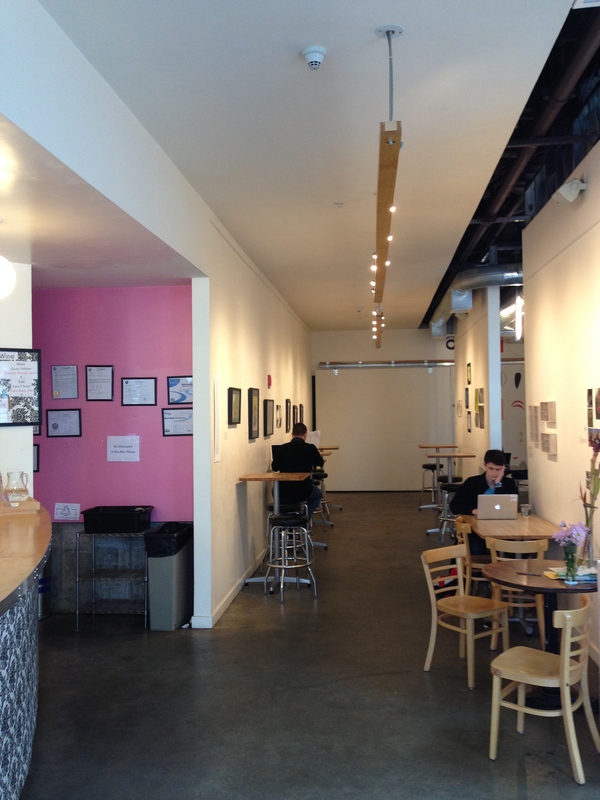 This funky café located in Kendall Square serves up fresh ground coffee and showcases work from upstart local artists. The interior is laid back and the music will surely get you in the mood to admire some awesome artwork. If the energetic coffee buzz isn’t exactly your forte, Voltage has you covered. They serve wine and beer as well.